Originally designed for Seattle restaurant, Aragona. 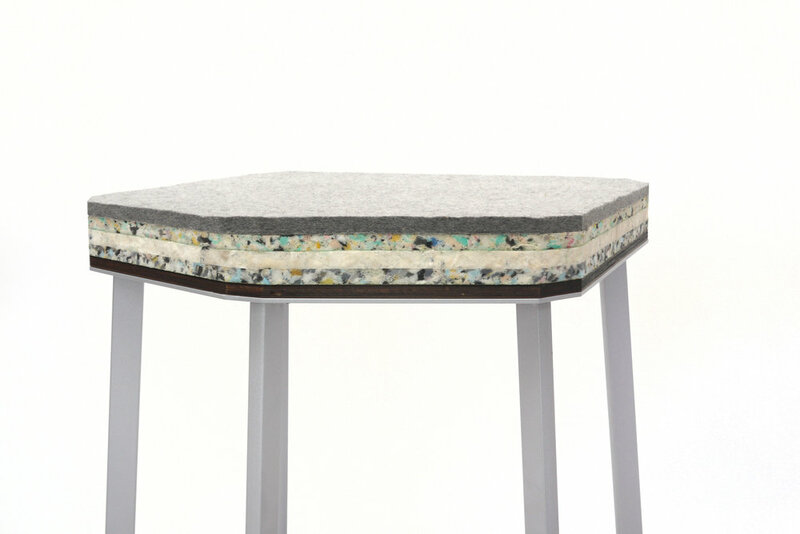 The stool combines a steel base with an ultra plush seat cushion comprised of die-cut carpet underlayment and 100% wool felt. Available in a range of finishes that include powder coat, blown and plated metals. Contact us for swatches.